A man whose music most of us have heard thousands and thousands of times — but whose name most of us never knew — died last week. 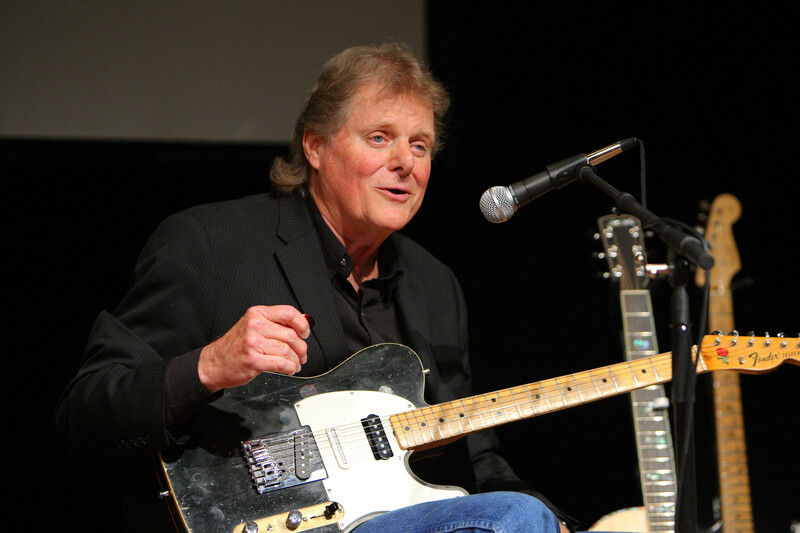 Studio guitarist Reggie Young played on hundreds of hit recordings, including Dusty Springfield’s “Son of a Preacher Man,” Elvis Presley’s “Suspicious Minds” and “The Letter” by The Box Tops. The New York Times reported that Young, who was 82, died of congestive heart failure in his home outside Nashville. When I hear about the death of one of these great musicians who played the music I came of age to, I feel like a piece of me has died. Those years and those songs were formative for so many of us baby boomers. It is hard to see the creators of those timeless songs notch their ultimate marks on the horizon. Young was born in Caruthersville, MO, the second largest city in Missouri’s Bootheel (after Kennett). He was raised in northwest Arkansas and then Memphis. His father, also named Reggie, played Hawaiian-style classical guitar, although not professionally, and taught his son to play when he was 14. On several big hits, Young plays memorable, stage-setting introductions that jerk the listeners into the songs body and soul. One of those is “Hooked on a Feeling,” which rose to No. 5 on the Billboard Hot 100 in 1969. On that song, Young played the inimitable electric-sitar introduction, which sounds like a cross between banjo and guitar. And, finally, here’s Johnny Cash and The Highwaymen’s performance of “Folsom Prison Blues,” on which you can watch and hear Young play the song’s signature guitar solo. …So long, Reggie. Thanks for the memories and the music that will live on for many more years. JimmyC…also on a sad note, Leroy Jenkins, passed away last week in Pembrooke Pass, Mississippi. He wrote the song “Hokey Pokey.” They had trouble getting his body in the casket as every time they put the right foot in he put the right foot out. Took hours, but that’s what it’s all about! I’m having difficulty verifying some of the facts here, John — such as if a Leroy Jenkins wrote The Hokey Pokey and if there’s really a place called Pembrooke Pass — but what the hell…the comment is fantastic(al). The unsung heroes of popular music are the studio musicians. Sometimes they make the leap and become stars in their own right. Glen Campbell, Fagen and Becker, Mac Rebennack (Dr. John) from the outrageously killer Wrecking Crew (there is/was a Netflix documentary on the Wrecking Crew), Oklahoma’s Leon Russel, all backed up hit-makers before they became hit-makers themselves. As in most of life, the players in the background give a foundation for the star to shine. You ought to post this on Facebook, Jim. My page doesn’t get many views, Les…I maintain it mostly so I can get information — and photos of — people I write about. I’m no master of the social media. Two additional documentaries worth watching are Standing in the Shadows of Motown, an excellent documentary about the studio musicians behind all of the Motown, Tamla hits produced in Berry Gordy’s Detroit studios, and Muscle Shoals, about the white Alabama studio musicians behind Aretha Franklin and many of the soulful hits that came out of the Atlantic label that one assumed were performed by black musicians (including the artists themselves until they got there to record). The Dusty in Memphis CD (listening to it as I type) was completely unknown to me until a touring bassist friend from Nashville pointed out the work of Tommy Cogbill on bass. He plays tastefully on the first 11 tracks and then lights it up on the remaining “bonus tracks” in a tour de force that I still pull out to transcribe. So many of the greats owe their success to the guys that are virtually unknown to the public, but legends to those of us who share their love of that particular instrument. I will try to locate those Cogbill tracks on YouTube, John. Thanks for the reference. Here’s a link to the first 11 tunes. Even here on a tune like Don’t Forget About Me he stands out and then when you hear her version of you’ve got a friend on the extended CD and realize what most players would do with it you realize what an incredible talent he (and the other musicians on that album) is. Jim, I second that emotion. Another session guitar player everyone knows (but not by name) is Tommy Tedesco who played the memorable opening riffs for the TV themes of “Bonanza” and “MASH.” He was on literally thousands of records and movie sound tracks, most notably as part of “The Wrecking Crew,” a group of Los Angeles studio musicians who backed up hundreds of Top 40 hit in the 60’s and 70’s. Two very good film documentaries to see: “The Wrecking Crew” (on that Tedesco group) and “Twenty Feet from Stardom” (on backup singers). I don’t remember seeing “The Wrecking Crew,” Lonnie, but I did see “Twenty Feet from Stardom.” Outstanding. You guys saw kansas karl’s reference to The Wrecking Crew, didn’t you? I’ll watch it, Bill. Thanks for weighing in.